The teenage lifestyle is born, and with it come bobby socks and boppers, poodle skirts and pompadours. But if all that rock and roll is too much, you can still take the high road as a square or Peggy Sue. Just stay away from those creepy beats. Those cats are weird, dig? 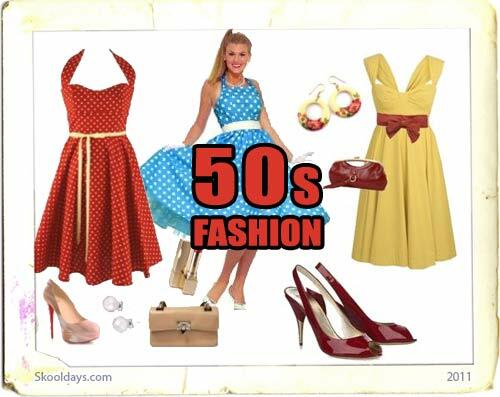 This entry was posted in Fashion and tagged 1950 by Skooldays. Bookmark the permalink. Would loved to have picture examples.